The Tandem Island allows two people to enjoy the combination of sailboat, kayak, trimaran and fishing boat in one package. Featuring the new MirageDrive 180 & legendary Vantage seat. 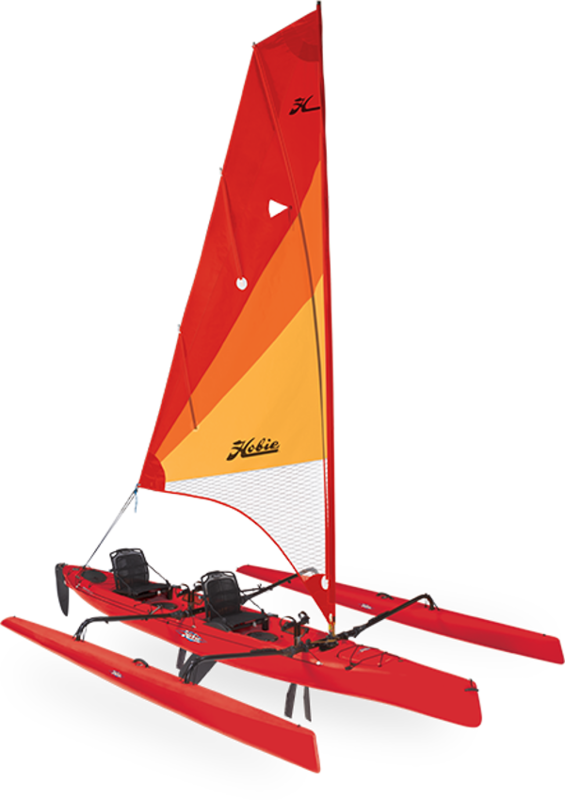 Looking for a super-fun multisport boat for two? 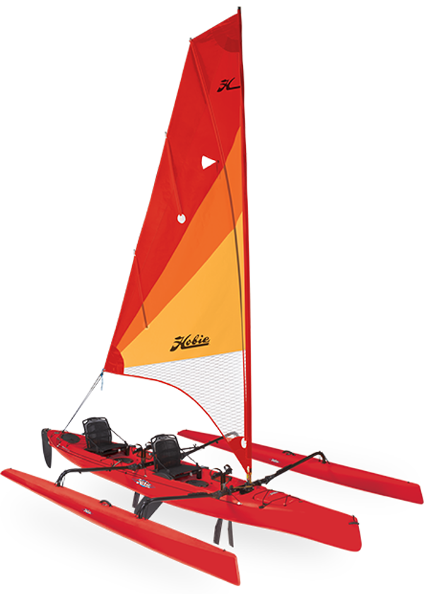 Meet the Hobie Mirage Tandem Island. The Tandem Island is a super-fast, two-person kayak. But attach the aka crossbeams, the ama floats and the two-piece carbon fibre rig and sailing kit (all included), and you and your partner will be flying across the water, powered by a rollerfurling, boomless mainsail. Both cockpits have steering and sail-control lines, making the Tandem Island ideal for partners of all abilities. And the boat's generous storage space and carrying capacity means that your adventure potential is huge. The Tandem Islands amas, akas and rig are easily stripped, converting the Tandem Island’s rotomolded polyethylene hull into a highly efficient, pedal-or paddle-powered touring kayak. Due to the size & weight of the Tandem Island you might want to consider waterside storage or a small trailer for transportation. 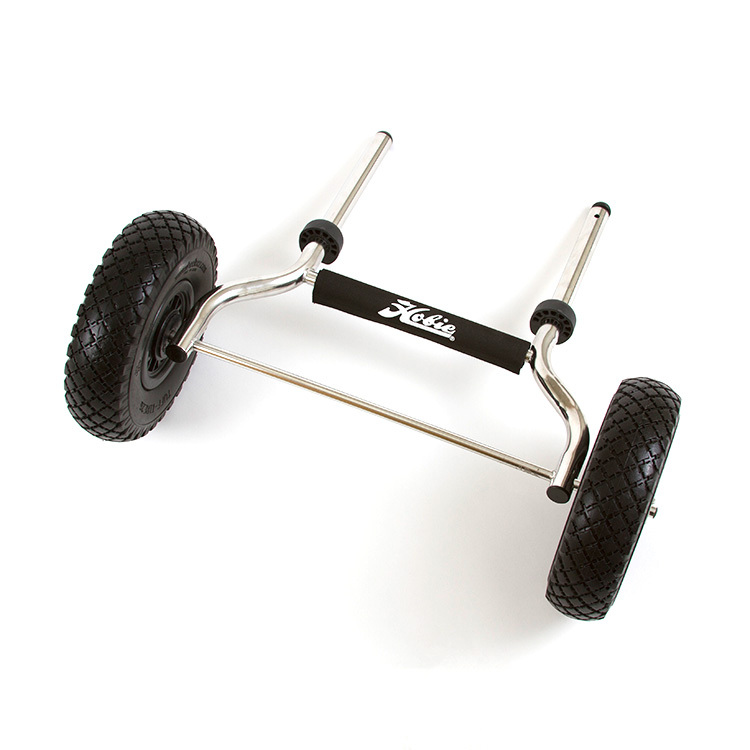 In order to use a Tandem Island with a Plug-in cart you will need this add-on cart cradle to disperse the load to prevent damage to the hull. 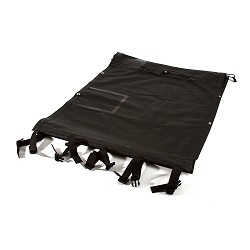 Versatile trampolines that can be used for carrying gear, moving weight outboard for better performance in windy conditions, comfortable sitting or laying down, carrying additional crew / kids / pets, reducing spray in cockpit and more! 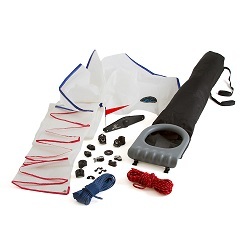 Add performance when reaching or running to your Hobie Island. Off-the-wind sailing is typically the slowest point of sail, add a spinnaker and the Island comes alive! We offer a delivery service for the Hobie Tandem Island to home and work addresses throughout England, Wales, Scotland, Northern Ireland & Ireland. 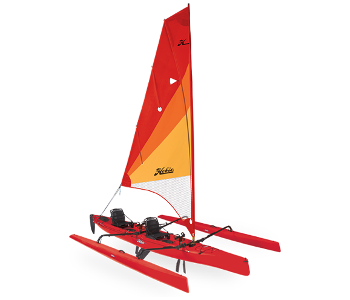 Buy a Hobie Tandem Island online from our website and collect from our store in Newhaven, East Sussex or from any branch within the Canoe Shops Group. There is no cost associated with this*. 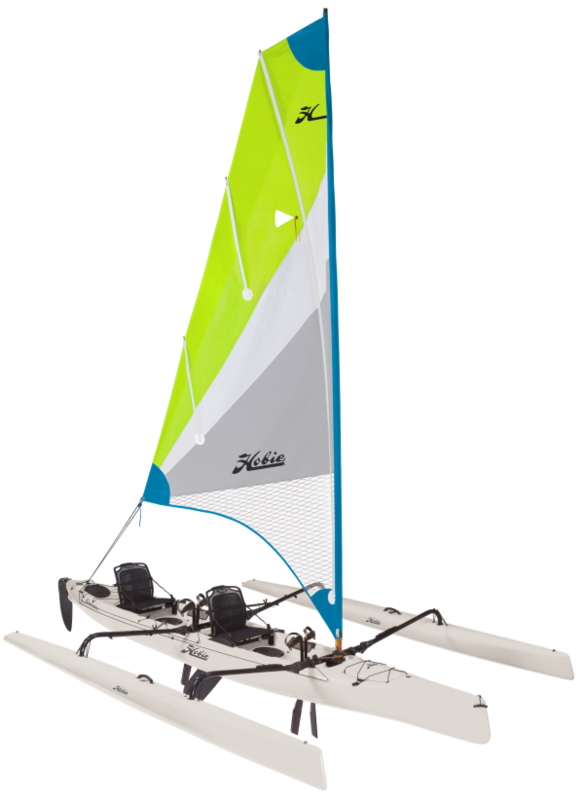 We can now offer 0% Finance on the Hobie Tandem Island (0% APR Representitive).